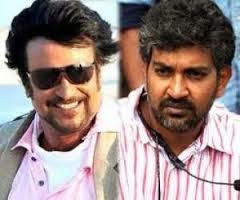 Home / Movie News / Rajamouli / Rajanikanth / Rajinikanth wants to work with SS Rajamouli? Rajinikanth wants to work with SS Rajamouli? Already, Vijay has become a huge problem for Rajinikanth. Now, the failure of Lingaa has affected Rajinkanth badly and has put immense pressure on him to pick the right film for his next release. Also, the buyers are after the superstar to compensate for their loss. Since the distributors and buyers have lost heavily due to back to back failure of Vikramasimha and Lingaa, the next release has become a matter of prestige for the ageing superstar. So, he has now decided to start shooting for a film immediately instead of taking the usual break. A rumour that is rife in both Telugu and Tamil industries is that since Rajinikanth is keen on working with SS Rajamouli, a leading producer has started the ground work to make this combination possible. However, though Rajinikanth is keen on working with Rajamouli, Rajamouli is presently busy with Baahubali. Since the film is being made in two parts, the series will be completed only in 2016. Naturally, Rajamouli is not keen on thinking about another project till he finishes shooting for both the parts. So if Rajamouli cannot make time for Rajini’s film, the big question is who is capable of making a film with Rajinikanth? Which director is capable of making a film to suit the image of the superstar?